Jasmine Thomas-Girvan was the recipient of the Aaron Matalon Award in the recently closed Jamaica Biennial 2017. 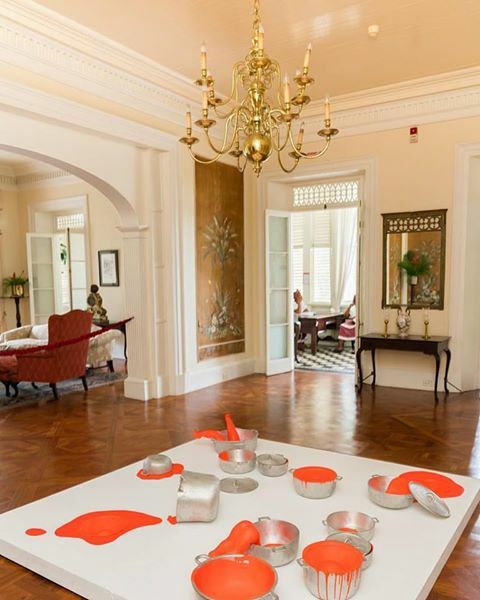 Her two installations were on view at Devon House. Jasmine Thomas-Girvan was born in 1961, in St Andrew, Jamaica. Thomas-Girvan attended the Parsons School of Design in New York, where she received a BFA in Jewellery and Textile Design. 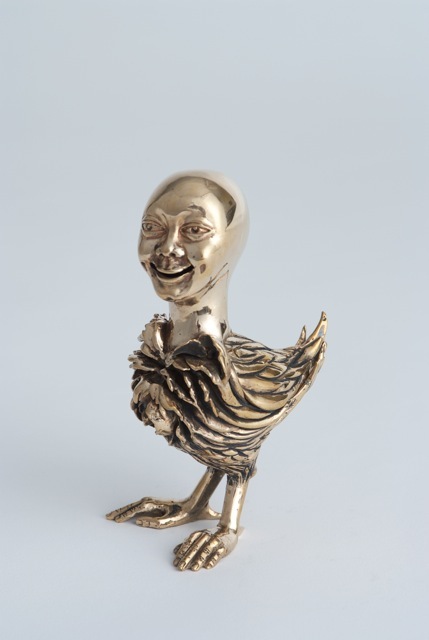 While she is still best known as a jeweller, Jasmine’s recent work has moved into the realm of larger mixed media sculpture and installations that evoke poetically the epic histories of the Caribbean. 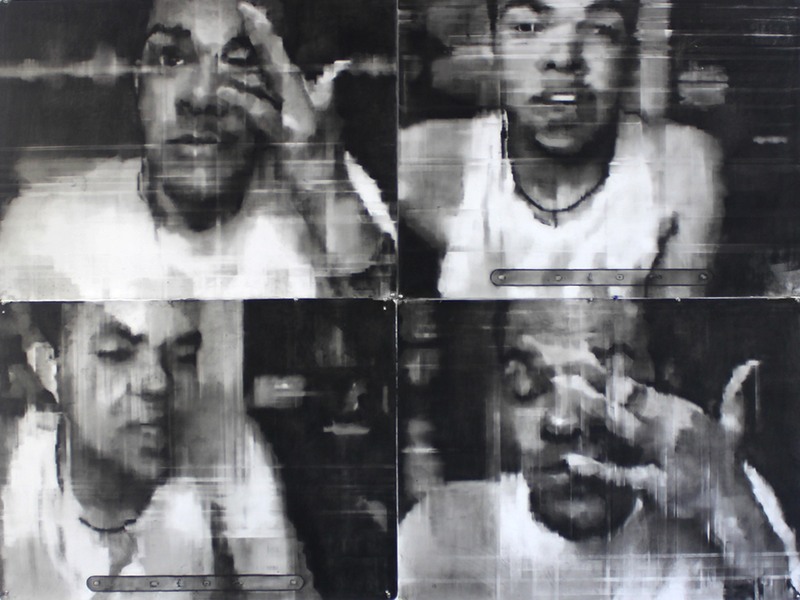 Thomas-Girvan has exhibited in the USA, Jamaica, Trinidad, Venezuela and Mexico. 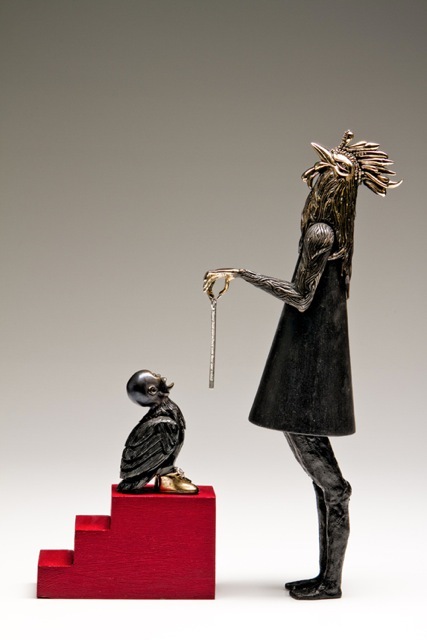 Her awards include the Tiffany Award for Excellence at Parsons, the Prime Minister of Jamaica’s Certificate of Recognition, the Commonwealth Foundation Arts award in 1996, the Aaron Matalon Award for her contribution to the NGJ’s 2012 National Biennial, and the 2014 Silver Musgrave Medal of the Institute of Jamaica. Thomas-Girvan lives in Maraval, Trinidad. We present additional information on the Jamaica Biennial 2017 exhibition at Devon House. This document will also be available as a free handout at Devon House. Opening hours there are Mo-Fri 9:30 to 4:30 and on the last Sundays of the month from 11 to 4. Admission rates apply. 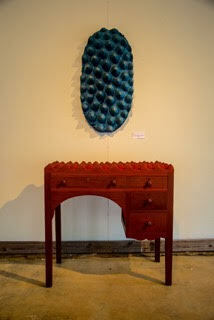 All Jamaica Biennial exhibitions continue until May 28. As was first done in 2014, the Jamaica Biennial 2017 is shown at more than one location. In addition to the National Gallery itself, where the main exhibition is held, parts of the exhibition are shown at Devon House, which was the National Gallery’s original home in 1974, and at National Gallery West in Montego Bay. 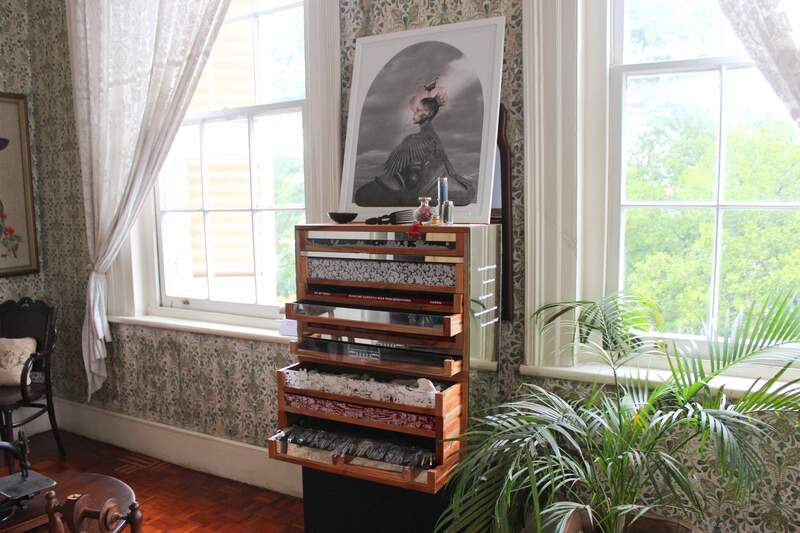 For Devon House, we selected five interventions by artists whose work resonates with the history and context of Devon House, particularly its dual connection to Jamaica’s plantation heritage and to social change, as the great house was built in 1881 by Jamaica’s first black millionaire. The selected work is by Andrea Chung, Laura Facey, Jasmine Thomas-Girvan, Sharon Norwood, Deborah Anzinger and Leasho Johnson. All are displayed in the Devon House interior. Some of these interventions are immediately and provocatively visible, while the others are more subtle and may at first be mistaken as being part of the original furnishings. This makes the process of discovery and engagement involved in viewing the Jamaica Biennial 2016 exhibition at Devon House all the more exciting. In-a-the-Middle is a mixed-media sculptural floor piece that parodies a dancehall party, or more specifically, a “daggering session.” It is comprised of locally made metal ‘dutch’ pots, cast from scrap metal, fluorescent red paint with papier mâchè and ceramic castings of speakers and legs. The title is a derivative of a dancehall song, Inna The Middle performed by ZJ Liquid, which in the local context is referred to as a “gyal song” – that is, a song that speaks mainly to female party-goers. The “dutch” pot in Jamaican culture is a multi-purpose item and is commonly found in most Jamaican homes. In-a-the-Middle explores female objectification and the male gaze within dancehall culture, compared with a perspective of the woman as nourishment giver, bread winner and home maker, symbolized in part by the use of the “dutch pot.” He states, “I was trying to describe a kind of negative space that is misogynistic [and] that surrounds a female described space… women becoming the weak default of a culture that puts its men on the podium of social ideals”. 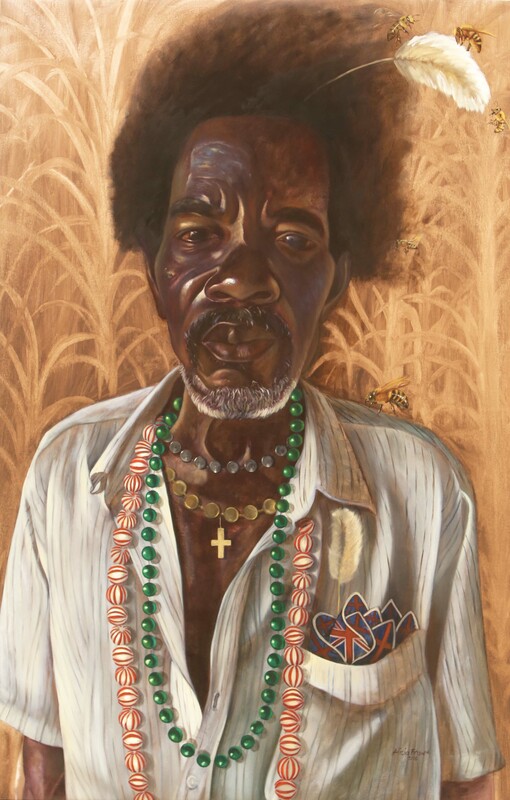 The 2014 edition of the National Gallery of Jamaica’s Jamaica Biennial was shown at multiple venues—a first for this exhibition in Jamaica—and this included Devon House, the original home of the National Gallery and one of Kingston’s main heritage sites. 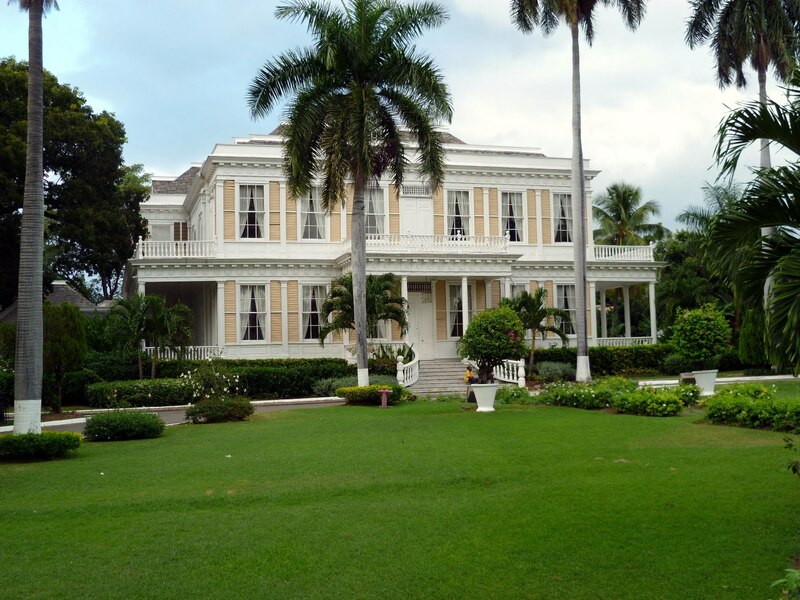 Devon House was included as part of the National Gallery’s fortieth anniversary celebrations, as a home-coming of sorts, but also in response to the Devon House Management’s invitation to organize regular joint exhibitions. 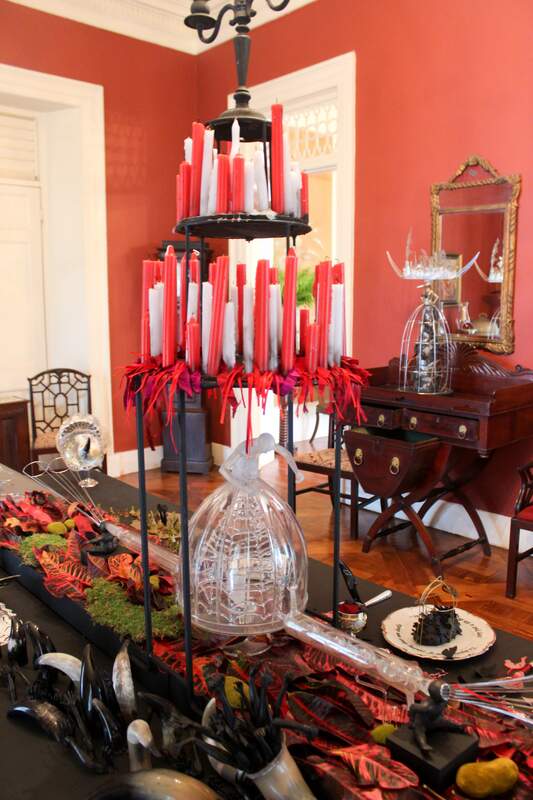 The Jamaica Biennial 2014 at Devon House featured work by Laura Facey, Ebony G. Patterson (who won the Biennial’s Aaron Matalon Award that year), Greg Bailey, Cosmo Whyte, James Cooper, and Oneika Russell, and was one of the most popular and critically acclaimed parts of the exhibition. The approach taken was for the works selected to be installed the Devon House mansion interior, alongside or in replacement the regular furniture and art works, and, in the case of Laura Facey, also in the formal gardens in front of the house. The result was a rich dialogue between the history and context of the house—which was built and owned by Jamaica’s first black millionaire, George Stiebel, in 1881—and the issues raised in the art works, such as the historical and contemporary dynamics of race and class, the politics of visibility and invisibility in the face of social violence, and our relationship to the natural environment. The Explorations III: Seven Women Artists exhibition, which will open at the NGJ on Sunday, May 31, asks the question whether any concept of women’s art is relevant in Jamaica today – it is part of our Explorations series, which examines the big themes and issues in Jamaican art, the first of which was Natural Histories (2013) and the second: Religion and Spirituality in Jamaican art. Seven Women Artists, which is curated by Senior Curator O’Neil Lawrence, features the work of seven mid-career female artists who live in Jamaica or art part of its diaspora and who work in a variety of media: Jasmine Thomas-Girvan, Judith Salmon, Miriam Smith, Prudence Lovell, Kereina Chang-Fatt, Berette Macaulay and Amy Laskin – a small but representative sample of accomplished female Jamaican artists. We invite viewers to explore whether there are any commonalities that set these artists’ work and careers apart from those of their male counterparts and whether there is any justification to label them, individually or collectively, as “women artists,” or their work as “women’s art.” We have also asked each of the artists to produce a statement on the subject that will be reproduced in the catalogue and the exhibition text panels. The sculptural and sometimes wearable work of jeweller Jasmine Thomas-Girvan explores the complexities of Jamaican and Caribbean histories as well as the cultural implications of those histories. Her spectacularly surreal assemblages often employ or are inspired by naturally occurring plant matter and oftentimes actively utilise found objects that have a personal resonance with the artist. 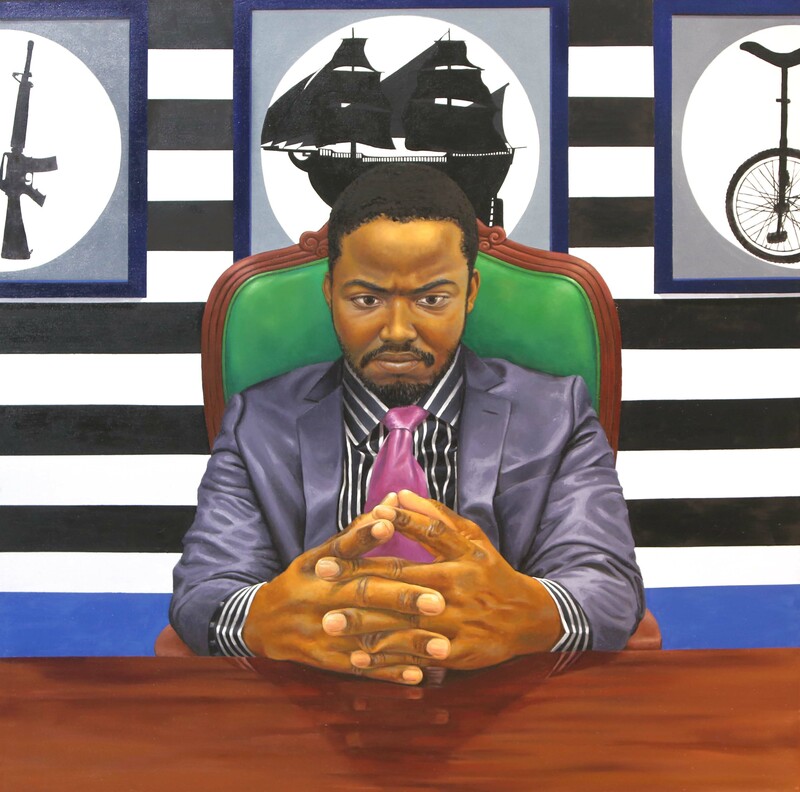 Her work None but Ourselves references the intellectual legacy of Marcus Garvey highlighting the importance of the transmission of liberating values to the next generation. 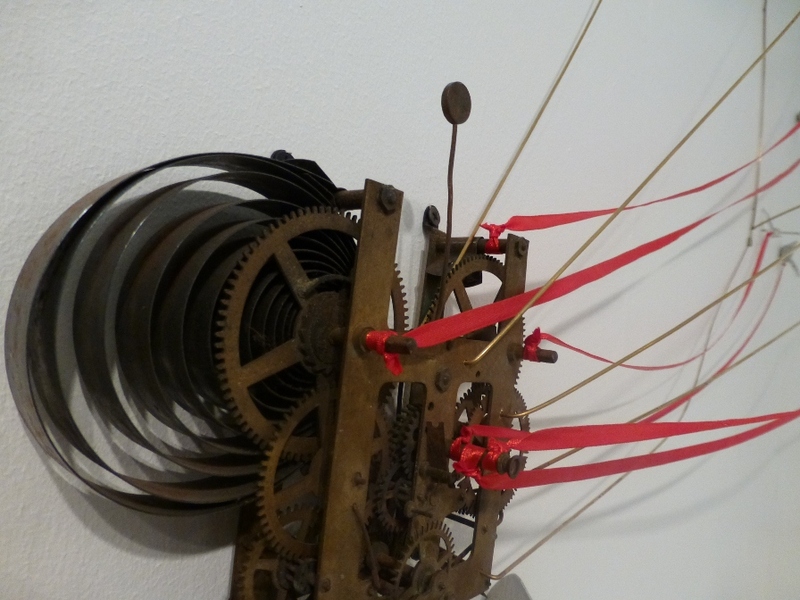 The dynamics of memory are at the heart of the installation and assemblage work of Judith Salmon. Salmon who creates work that has, in some instances, involved an element of interactivity for instance Pockets of Memory (which invited viewers to leave notes or other things that had personal significance and made the audience a part of the creative process) explores the way in which memories are preserved obscured or lost over time. 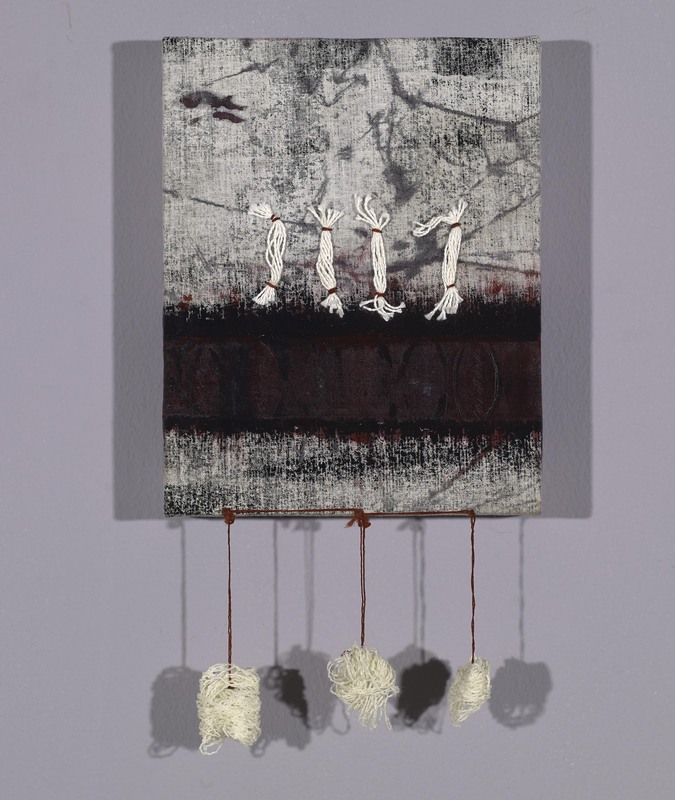 She utilises fibre, wax and various printmaking techniques to create work that contains multiple conceptual and also physical layers. 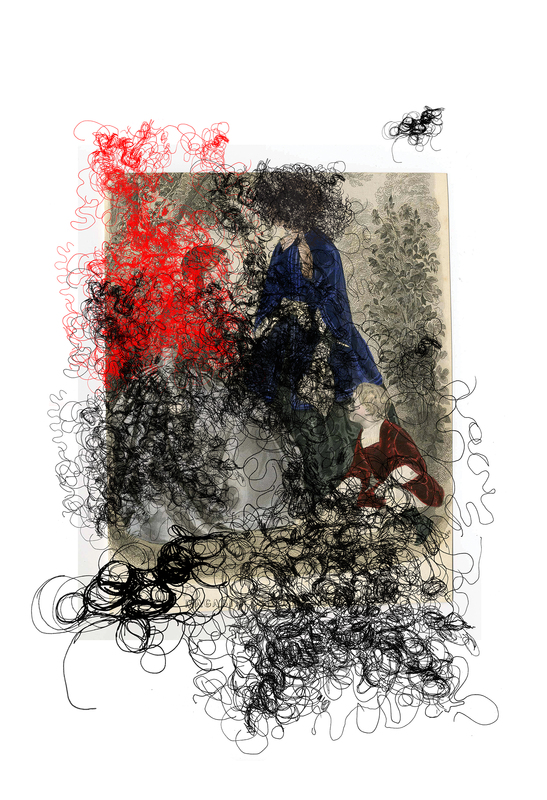 Miriam Smith is known for her mixed media artwork prioritised by her manipulation of fibres and textiles. 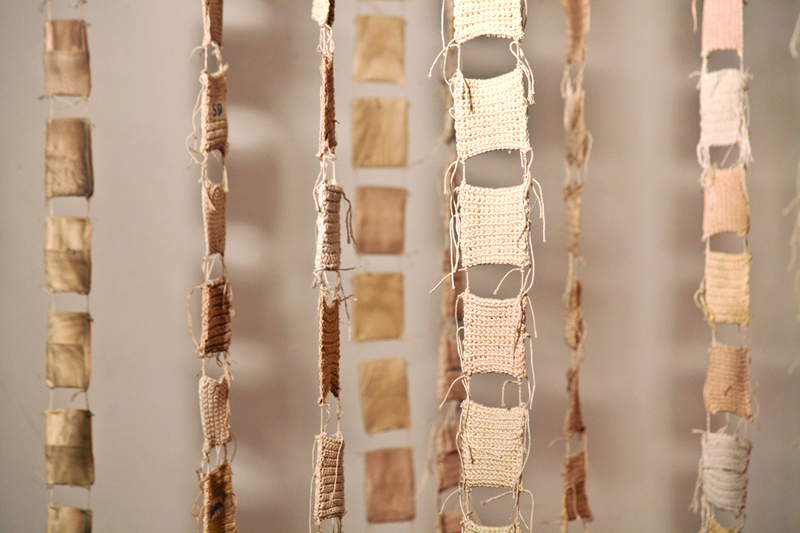 Her work also reflects her experience of bookbinding, some in the form of actual books are often symbolic pages weaving a personal history that highlights life changing experiences but is also at its heart very much concerned with historical and contemporary social injustices. The multi-panelled work Justice Denied…1600 and Still Counting reflects that focus and challenges the viewer to do the same.